The Texas A&M University System, Texas A&M University, and the Texas A&M College of Veterinary Medicine & Biomedical Sciences began construction of the new Veterinary & Biomedical Sciences Education Complex in Aggieland today. 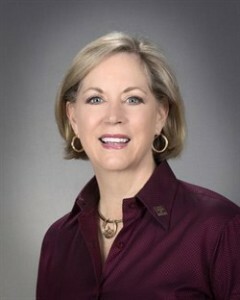 The new complex, one of the largest construction projects ever launched by Texas A&M, was described by Dr. Eleanor Green, the Carl B.King Dean of Veterinary Medicine, in a recent TAMU Times article as “a tremendous opportunity to bring the latest in teaching technology to the CVM and to Texas A&M University,” and added that the planning team looked for inspiration in how to design and develop the facially and program from other institutions across the country, taking into account not only the current educational trends and teaching technologies being used in the classroom, but also what the next iteration of education advances may bring, and how to anticipate how to accommodate future concepts and expansion. In order to further empower learning, the new complex will feature a teaching laboratory space and a state-of-the-art classroom experience. “We are very excited that the Board of Regents and the administration of Texas A&M University decided to invest in the future of our college, our faculty, and our students. The impact of having state-of-the-art teaching and clinical facilities will be felt not only by those who receive their education here in the future, but also by those that we serve,” Green added. As part of the expansion, the old animal hospital is now bigger, and all of the new facilities will provide opportunities for innovative teaching while encouraging collaboration and creativity among students. With the new facility expected to play a major role in helping to recruit the best faculty, students, and staff, the new complex will also receive $120 million dollars in new funding from the Permanent University Fund, a public endowment that contributes to the support Texas A&M institutions and the University of Texas Systems.